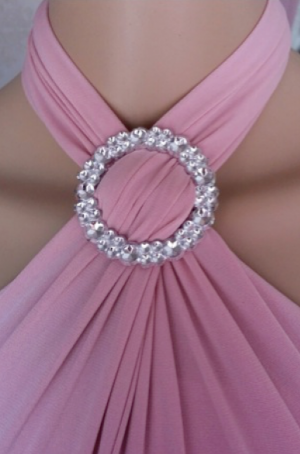 Style your new Infinity Dress with a Round Plastic Diamonte brooch. be your own stylist and add bling to your new Infinity Dress today! Choose between Gold or Silver.